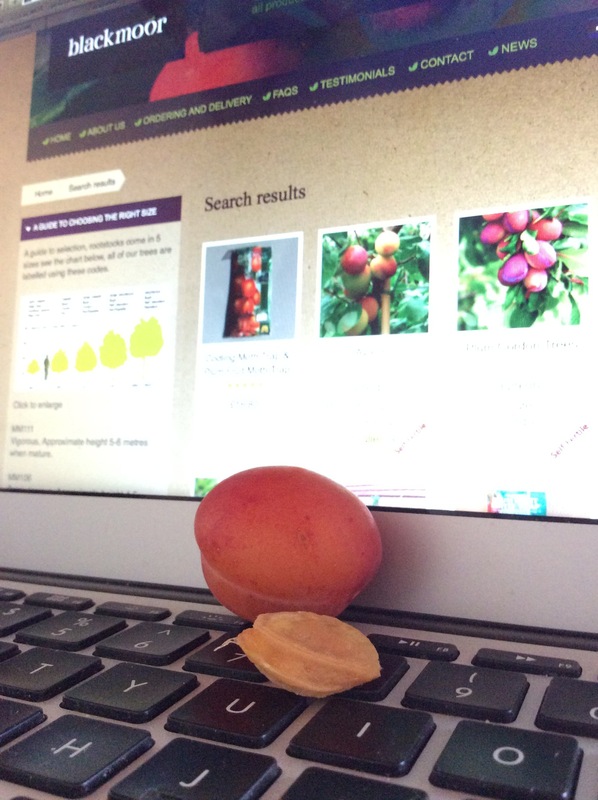 The first fruit of our labour….. This may not appear like such a big deal to most people, but today we picked the very first fruit, and ate it, from our little espalier orchard! It is such an amazing feeling to taste fruit off trees that arrived as little single stems with bare roots. By reading and researching, we managed to find out enough to start the espalier process and now to see that our inexperience hasn’t killed all the lovely trees that we bought with my 50th birthday fund is priceless. Not big and numerous, but special nevertheless! If after one year we get just a tiny crop, I am hopeful for much bigger and better in the years ahead. So even if you are in a wheelchair, only have a tiny garden, you love fruit and trees, then I can highly recommend trying some espaliered trees. They may take a bit of work with training and pruning but it feels like such an achievement when you taste that first plum!